Today the American Folklife Center announced the online publication of the Lomax Family manuscripts. This project begins today, with access to 25,000 pages created primarily by Alan Lomax during the 1940s and 1950s on the LOC website here. 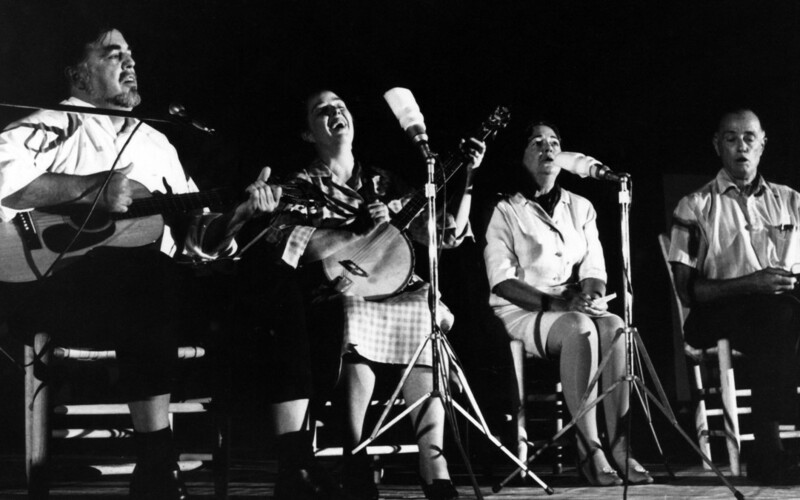 During the next year over 350,000 pages from the 100 archival collections documenting the work of John A. Lomax Sr., Ruby Terrill Lomax, Alan Lomax, Bess Lomax Hawes, and John A. Lomax Jr. will become available to the public through the Library of Congress website. The Library of Congress has enjoyed a long association with the Lomax family, beginning in 1933 with John A. Lomax’s appointment as Honorary Consultant and Curator of the Archive of American Folk-Song, and his son Alan’s appointment as “Assistant-in-Charge” of the archive in 1937. Te duo made long, swooping trips through the United States and Caribbean, documenting American culture in its diverse manifestations. Alan’s career from the 1940s to the 1990s generated a large archive that the Library acquired after his death in 2002. The children of Bess Lomax Hawes, Alan’s equally accomplished sister, donated her materials to the Center in 2014. With this presentation, years in the making, the American Folklife Center is delighted to provide comprehensive online access to the papers of the first family of 20th century American Folklife. For the first time researchers have online access to the writings of the Lomax family: the field notes, logs, and indexes related to these unparalleled collections, as well as their correspondence and their academic and creative writing projects. As substantial as they new online resources are, these 25,000 pages are only the beginning. Upcoming phases of the project will include the logs to Alan’s sound recording collections, Lomax family correspondence, Alan’s massive Performance Style studies, and the manuscripts of Bess Lomax Hawes. Everything will be accompanied by subject guides to assist researchers as they explore this unique corpus. We will let the readers of Folklife Today know when new increments become available. Top image: The Lomax siblings (Alan Lomax, Bess Lomax Hawes, Shirley Lomax Duggan, and John A. Lomax Jr.) – from the Bess Lomax Hawes collection.